Take Our Dashboards for a Test Drive. The easiest way to find the perfect dashboard for your business. 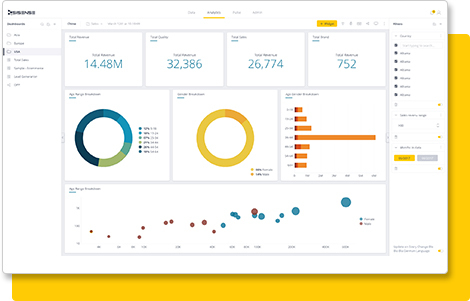 Explore our live BI dashboards! Play with sample data, view real KPIs, and see visualizations that make sense of your data.